In this quick tutorial you'll learn how to draw a Blister Beetle in 7 easy steps - great for kids and novice artists. At the bottom you can read some interesting facts about the Blister Beetle. Step 1: First, let us draw the wing outlines of the Blister Beetle using curved lines. It should look like a pair of sideways bunny ears. 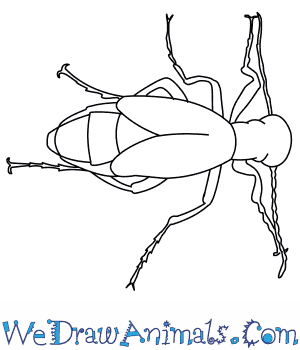 Step 2: Draw the cylindrical head and neck of the Blister Beetle using wavy lines. Step 3: Draw the ridged, rope- like antennae, on each side of the Blister Beetle’s head using thick bumpy lines as shown in the image. 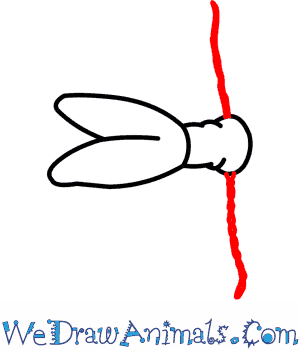 Step 4: Draw the outline of the front legs on either side of the neck using gently curved lines. Draw the joints of the front legs and add curved tips to the end of each leg. 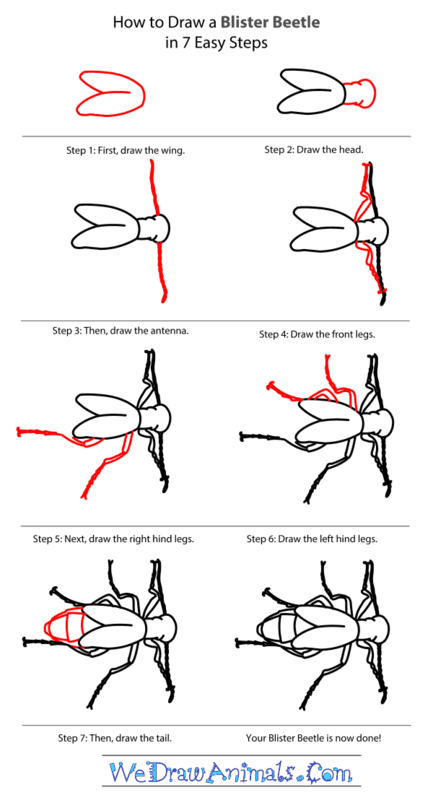 Step 5: Now, let us draw the middle and hind legs on the right side of the Blister Beetle’s body. 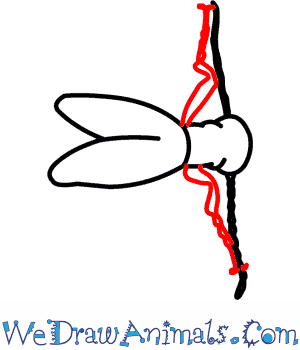 Draw the middle leg at the beginning of the wing and the hind leg near the end of the wing. Starting from the body, draw two lines to show the first jointed portion of the leg. Draw another jointed portion of the leg and then draw smaller joints using jagged lines. 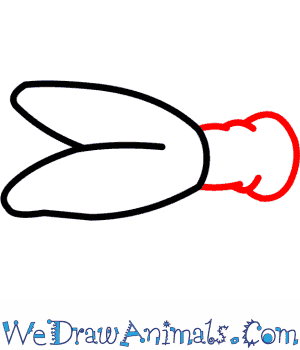 Add curved tips to the end of the legs as shown in the image. Step 6: Draw the hind legs on the left side of the Blister Beetle’s body just like in the previous step. Make the legs thinner at the end than at the top. 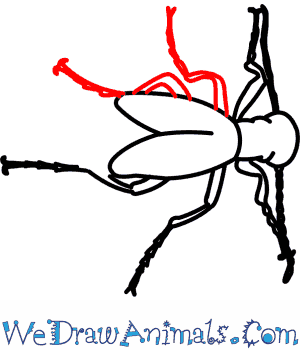 Step 7: Draw a half oval at the end of the wings for the tail of the Blister Beetle. 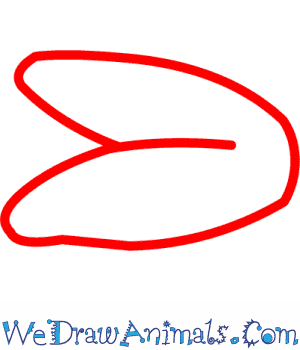 Draw a bigger half oval around the first one. Draw two gently curved lines across the tail of the beetle to show the detail of its protective plates. After you finish your drawing, you can color the Blister Beetle. The blister beetle has a narrow ?- to 1 ?-inch-long body, a broad head, and antennae that are about one-third the length of its body. Its front wings are soft and flexible as opposed to the hard-shelled wings of other beetles. In midsummer, female blister beetles crawl along the soil looking for grasshopper egg pods to raid, or they may hitch a ride on flying insects back to insect nests; in either place, they prey on the insects and lay their own eggs. Inside these “stolen” incubators, blister beetle eggs become larvae, change into legless grubs, and incubate for a year, emerging the following summer as adults. Blister beetles produce a defensive chemical, called cantharidin, which protects them from predators. When rubbed, pressed, flicked off or crushed, the blister beetle actually bleeds cantharidin from its joints, and skin contact with it can result in painful blisters. Cantharidin is toxic, and can poison and even kill horses, sheep or cattle who eat hay or other harvested plants containing crushed blister beetles. Even though it is caustic to the skin, the cantharidin from dried and crushed blister beetles was used long ago to make medicine to treat human ailments such as gout and arthritis. Blister beetles are attracted to bright lights at night, such as patio lights, and may swarm around these lights. Blister beetles can be seen mostly during the day from mid- to late summer in fields of crops such as alfalfa, beet, potato, and tomato, feeding on the top leaves and on the nectar and pollen in crop flowers. Blister beetles have the ability to destroy crops, but they can also be found on ornamental plants and in small gardens, where they can be removed with gloved hands. For blisters resulting from contact with the beetle, first aid treatment is usually all that is needed, unless there is an allergic reaction; the blistering may be uncomfortable but does disappear over time.